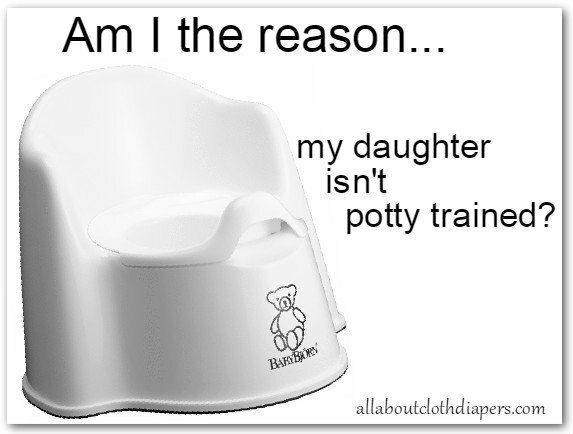 Am I the reason my daughter isn’t potty trained? Do I feel bad? Nope. Not at all. Not even a little. Should I feel bad? I don’t think so. Growing up is not a race. There are no medals, a car or $100,000 if you are the youngest to roll over, walk or pee in a potty. Sophia is now exactly half way between 2.5 and 3. So 2 and 3/4’s I guess. She still eats some of her baby food favorites. Earth’s Best Tender Chicken and Stars anyone? She is still rear facing in her car seat. No, her legs aren’t uncomfortable. She doesn’t get car sick. She’s never complained even once about sitting that way. She will stay that way as long as I can keep her that way. I flinch a little saying this one, not sure why…She’s still in her crib. Sophia sleeps really well (most of the time). She doesn’t climb out. She’s not wondering around after bedtime. Her pediatrician (a wise old doctor) said keep her there a bit longer if you can, there’s no holding her back once you make the switch. In the last few weeks, I finally broke down and made her sit on her little white potty. We’d already had it out for a while but she mostly stuck her foot in or wore it on her head. She is now joyously peeing in her potty. And I mean joyously for her because I am honestly a little sad about it. She is so proud to announce “I go pee pee” each time and eagerly awaits a high five. Now mind you, this is after she waddles out into our kitchen with her pants around her ankles. This celebration can’t happen in a cramped bathroom after all. Sophia is still sleeping in cloth diapers at night and naps (when she takes them). The elusive poop in the potty hasn’t happened yet either. She will only use her little white potty and any big toilet, no matter how cute the seat I place on it or how big of a step stool in front of it, terrifies her. So I drag around her little white potty everywhere we go. Do I feel bad that she wasn’t the youngest to do all the firsts? Not in the least. She won’t be in elementary school pooping in her pants (I hope), sitting rear facing taking her driver’s test or be sleeping in a crib while she is away at college. Don’t feel guilty about not pushing your child when it’s not necessary to push and don’t feel pressured to fit into into anyone’s schedule but your own. We practice EC (baby led pottying). We hold our son over the potty when he has to go. If he fusses at all, we don’t force him. We take put his diaper or underwear back on and let him do what he wants. He may pee immediately after refusing. No big deal. We’ve been doing this since 4 months. Some days he’s dry all day, sometimes he’s dry in the morning after a 12 hour night. Sometimes he does pee in the potty at all and uses diapers all day. People can get really weird about “potty training” a baby. And I’ve seen rude comments about it on articles online. Things about how parents should “let them be babies” and not force them to potty train so young. And how it’s cruel. But it’s not really potty training him, it’s really training us to react to him. He may not fully potty train any earlier than a baby who uses diapers exclusively. And that’s fine. He’ll do it when he’s ready. I have a friend who’s daughter showed interest young (around 15 months or so), and when she posted pics of her on her little potty she had a bunch of people tell her she was too young. She freaked out and was afraid to let her use the potty. I fully agree that they will do things when they are ready. And it it shouldn’t be shamed either way. I agree, we never shame or punish. I just wonder if there is anything I can be doing. Thanks for your help! This post was SO timely for me. I have a son with feeding issues & so his poops are peanut butter consistency so he doesn’t know when they’re happening. So he’s over 3.3 and in diapers. Compared to what he’s been through it’s no big deal. However, it stings sometimes when people add their commentary, because I shouldn’t have to tell them his whole medical backstory. My older son potty trained early. I’m the same Mom, doing the best I can with the energy that I have. No judgement zone here!! I’m sorry that people make you feel bad. They shouldn’t. You are doing the best you can and that is what makes you a great mom. Thank you for sharing your story. Yes, Yes, Yes! :-) I’ve never understood why some want to rush things, especially potty training (the bane of my existence as a mother and child care provider). My first potty trained herself at 2.5 even though I wasn’t ready – in fact I all but discouraged her from doing it. My second is now over 2.5 and showing very few signs of being ready beyond a little interest and that is fine with me. We’ll probably try this summer at some point if she’s ready. And with cloth diapers it really is so much easier to leave them in diapers because there isn’t the cost factor (plus I’m running diaper laundry for the baby anyway). :-) Thanks for this post; I’m so glad to know I’m not alone. Potty training is 50% emotional, 50% physical. If your child is not 100% ready, it will be a battle. I doesn’t have to be. You are so right not to push her, because it just makes it into a battle that neither of you need. Enjoy the baby time you have left. Keep the crib, the baby food, whatever she wants, because soon enough she will be asking for a big ole canopy bed and a tv in her room and pizza every night. (Oh, and can I have my own bathroom, Mom, it’s so gross that I have to share with you and Dad.” I say there isn’t a problem unless your little one isn’t trained by the time pre-K is looming. Sooo tired of the race that some parents try to perpetuate. Too funny Dawne! And so true. Too funny. I just had this conversation with my sister this past weekend. I don’t know what it is about becoming a mother that all of a sudden makes other mothers feel they can just say anything to you (sometimes some of the rudest things). As a mother, I already question myself 8,000 times a day as it is – worrying if I’m doing the right thing. 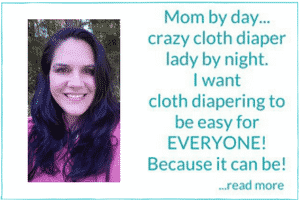 The last thing a mom needs is someone else (especially a stranger), casting their judgement as well. Great post! My very strong-willed 3rd boy turned 3 in March and though he showed no interest in pottying any of the times I mentioned it, he up and potty trained himself, nighttime and all this month. Boom! Done. This is such a refreshing post; I’m a firm believer that our kiddos will do everything in their own time, when they are ready, so why push it? Not to mention how sad it is to be a mom to a not-any-longer-a-baby! So why not let them be littles for as long as they can? I had one with horrible anxiety issues. There was no pushing this child. Another with a disability that had to be accommodated first. I’m so over what people think or expect 4 children later. It’s about what works best for your special combination & not anyone else. Thank you!!! I never knew this pressure existed until recently. People who may or may not be trying to help, have tried to puch their schedules on me, and it’s so irritating. 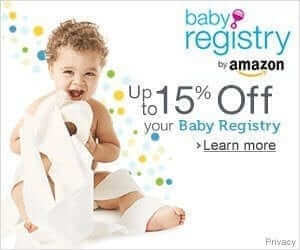 What me and my child are or are not doing is none of their business! All in due time! My son will be three next week. He is still in his crib (and not climbing out), and has absolutely no interest in the potty. It is a bit frustrating at times, but I sure don’t want to rush him into something he is not ready for. We will see where we are in another six months! It’s like people don’t have a filter on their mouth’s anymore. Think it in your head, say it behind my back…just stop saying it to my face! I feel your pain Carolyn!